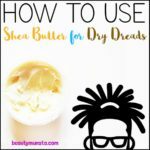 3 DIY Shea Butter Recipes for Dry Skin - beautymunsta - free natural beauty hacks and more! Dry skin is awful. Especially when it’s accompanied by itchy, painful, tight and inflamed skin. There are many products like lotions that you can buy at the store to relieve dry skin. But not all can suit your skin type. Not to mention, they have other ingredients lurking about, namely, parabens, parfum and mineral oil. All of these are artificially derived and not good for skin. However, when you turn to Mother Nature, you can find pure all-natural substances that don’t act as a quick fix for dry skin – but truly nourish and seal moisture into your skin. 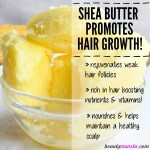 One such ingredient is shea butter! 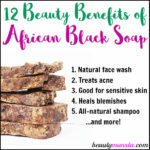 It’s a plant based substance extracted out of Shea nuts found in the African Shea Tree. For ages, people in Africa have been using shea butter as a safe moisturizer for skin and hair. It’s also rich in nourishing vitamins that heal, rejuvenate, revitalize and protect skin. Below, find 3 helpful shea butter recipes for dry skin! 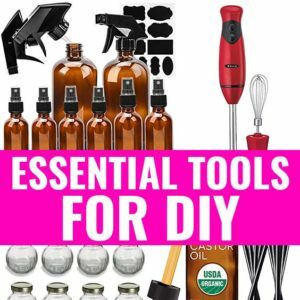 Add all the ingredients except the essential oil into the Magic Bullet. Blend till white and creamy. Transfer to the salve tin then stir in the essential oil using a chopstick. Let it set in the refrigerator for an hour before use. Melt the cocoa butter, shea butter and coconut oil using a double boiler. Once melted, pour in the aloe vera gel and jojoba oil. Then snip off the edges of the vitamin E capsules and squeeze out the oil into the melted oils. Stir well and place in the refrigerator for 15 minutes. When the time is up, get it out and beat the mixture using a hand mixer for 2-3 minutes. Stop when you get a creamy white mixture. Transfer into a clean container then stir in the essential oils using a chopstick. It lasts 2 years but make sure to store it away from water and contamination! Put the shea butter and vegetable glycerin into the foaming soap dispenser. Then measure out and pour the liquid castile soap and distilled water into the dispenser. To use, pump onto your palm, rub together then lather up your face. Rinse off with warm water then apply moisturizer. Use twice: morning and night. So that’s it! 3 DIY shea butter recipes for dry skin! Hope you find any of these recipes useful and come share your results! Does Shea Butter Go Bad?